The siege of the Syrian provincial capital of Deir ez-Zor has been lifted, the Russian Defense Ministry confirms. The breakthrough by the Syrian Army was made possible by a Russian cruise missile strike on Islamic State militants, it said in a statement. The Russian Navy launched Kalibr cruise missiles against jihadists stationed near the city, the ministry said. This enabled units commanded by General Suheil al-Hassan to break through IS defenses and lift the blockade. “Terrorists attempted to stop the break-through of the Syrian army by deploying suicide bombers on armored vehicles,” the statement stated, adding that Syrian army destroyed some 50 terrorist “jihadmobiles” during the siege. 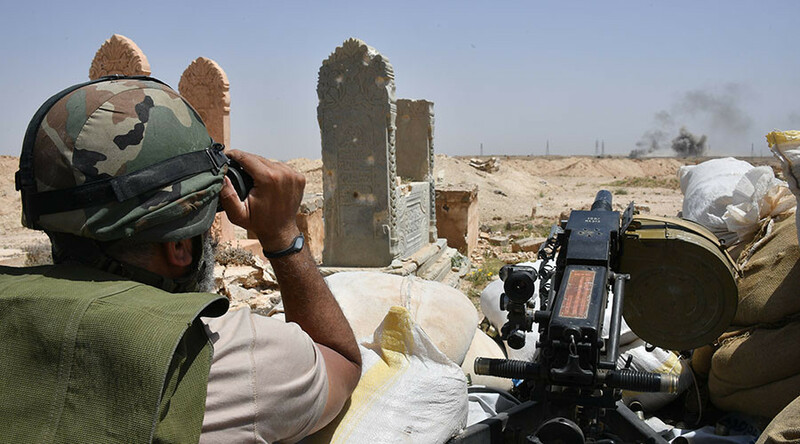 The Russian strikes destroyed a number of Islamic State’s fortified areas, which included artillery positions, ammunition depots, shelters and a network of underground tunnels. Syrian troops trying to widen the breach and liberate the city’s neighbourhoods are currently engaged in street battles with the jihadists, according to the Defense Ministry statement. Islamic State [IS, formermly ISIS/ISIL] has blockaded the provincial capital for almost 3 years. The garrison of Deir ez-Zor has been holding out against Islamic State forces in rural parts of the governorate, sustained by airdrops of crucial supplies. An estimated 93,000 civilians remain under the protection of Damascus’ forces within the city limits. In the past few days, the advancing government forces have repeatedly moved swiftly to break through jihadist lines. The Deir ez-Zor governorate is located in the western part of Syria on the border with Iraq and is one of the few remaining pockets of territory remaining under the control of Islamic State (IS, formerly ISIS/ISIL). Moscow, which supports Damascus’ offensive against the jihadist groups, believes the full lifting of the siege of the provincial capital will amount to the strategic defeat of IS in Syria. Experts interviewed by RT agreed that the victory was likely to change the very nature of the struggle against Islamic State, though not all believed that peace and victory of the jihadist movement are imminent or guaranteed. "I think it's a very significant blow to ISIS, especially in terms of the territory that it controls. Deir ez-Zor provided it with a platform to carry out operations in northern Syria and Western Iraq. 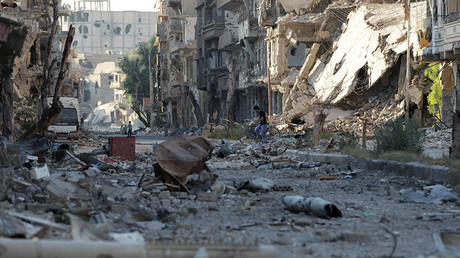 This is the beginning of the end for them," Kamal Alam, a military analyst, told RT. "Raqqa aside, this is one of the last big cities controlled by ISIS, so once it is cleared out, it returns to being an insurgency. This is a big success for Russia - ever since its intervention in 2015, the West wanted it to fail - but here it is, decimating ISIS in Syria," said Danny Maki, a Syria commentator, from London. Middle East research analyst Alessandro Bruno also believes that the victory is a vindication of Moscow's involvement, noting that “Syria would have been run over by jihadists a long time ago” without it. “I remember telling American military officers: let the Russians handle Syria. It’s their former allied state during the Soviet Union, they have a military base there, they have a complete interest that that country is stabilized,” he said to RT. "From now on, ISIS will have less of an ability to drive populations across Syria, and they will lash out on the international scene," Gregory Copley, editor at Defense & Foreign Affairs magazine, said to RT from Virginia. "From a Syrian government point of view, this will be the point to start a reconciliation among the population, though this will be difficult as long as the US remains in Syria."